123 Quilt: Color Play Friday - Birthday Bash! 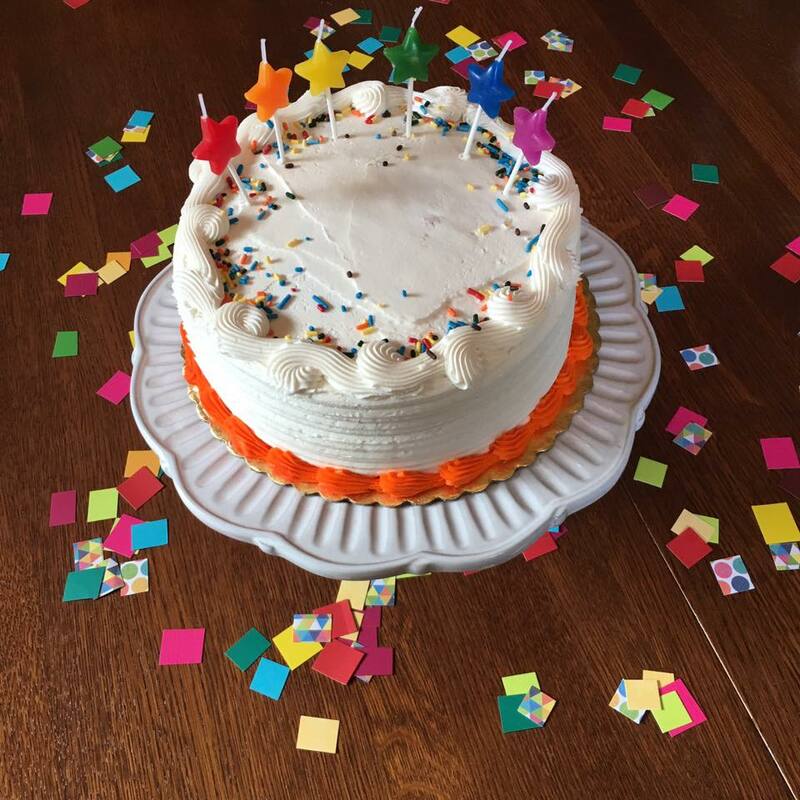 Color Play Friday - Birthday Bash! 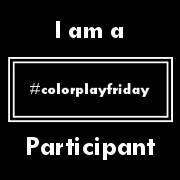 Happy Friday everyone and Happy Birthday, Color Play Friday!!! For those of you who are new, Color Play Friday is a fun, weekly challenge hosted by Trina from In an Otter Life and Lorinda from Laurel, Poppy and Pine. Each week they provide one of their photographs as inspiration and then the participants create a color palette and a fabric bundle based on the photo. It's always fun to see what everyone comes up with. 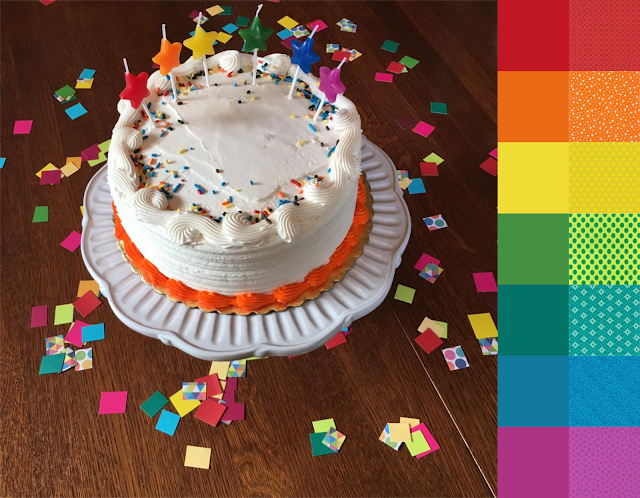 This week Color Play Friday turns 1! You all know what birthdays mean... CAKE!!! Oh man! I love cake! Especially birthday cake. Yep... I'm going to be thinking about cake for the rest of the day. In celebration of CPF's birthday, I decided to create my bundle from the types of fabric that I love. Bright, saturated blender fabrics! Every fabric I picked this week is a piece I would love to have in my stash. I don't know what else I can say about my bundle; I think it speaks for itself! As always, if you are interested in playing along, you can get the info on how to participate by clicking either of the hosts' buttons on my sidebar. See, my past CPF entries by clicking the Color Play Friday tab in my menu bar. I can't even begin to tell you HOW MUCH I love your bundle! I want them all. HI,such a neat Bundle!!! Thanks for sharing!